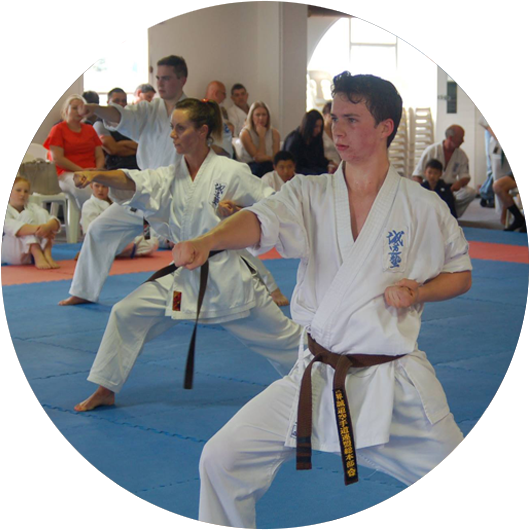 Kyoshi Siobhan started her karate journey while in her last year of studying engineering at Canterbury University in Christchurch. She recalls wanting to join as many activities as possible and karate was one of these. 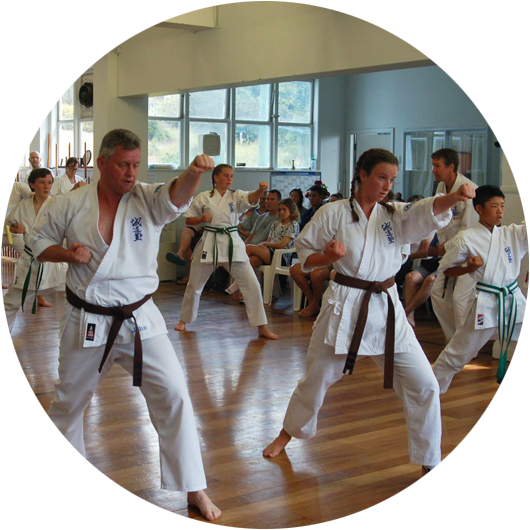 Now with 30 years of training under her belt she has found dojo homes in both London when travelling on her OE, and again back in Wellington while raising her family. When her own three boys started learning karate about fifteen years ago it seemed a natural thing to step in and teach the kids’ classes which she did for many years. With the growth of the Children’s programme Kyoshi Siobhan volunteered to return to teaching kids’ classes about two years ago. She loves the fact that with karate you can still keep learning, even after 30 years. When she is teaching she likes to explore the ‘why’ of what karate moves are, as this usually helps with the ‘how’. 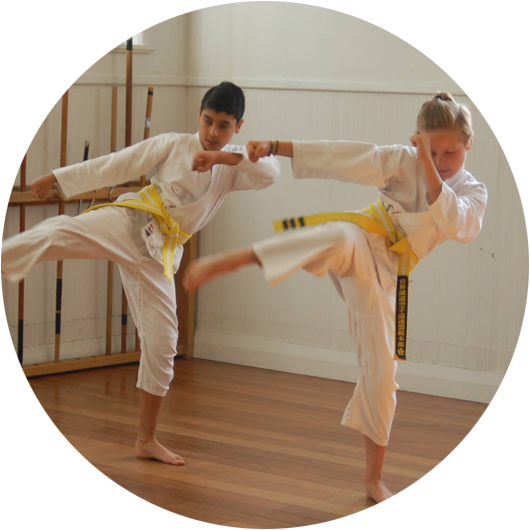 Kyoshi Siobhan says, “to me karate isn’t about being the strongest or the fastest, but being the best you possibly can be; the Wellington dojo is a very special place that supports everyone who walks through the door”.